Beginning in the 1980s, Latin America became a laboratory for the ideas and policies of neoliberalism. Now the region is an epicenter of dissent from neoliberal ideas and resistance to U.S. economic and political dominance; Latin America's political map is being redrawn. Already half a dozen progressive governments have swept into power--in Chile, Bolivia, Uruguay, Argentina, Brazil, and Venezuela--and more may follow. 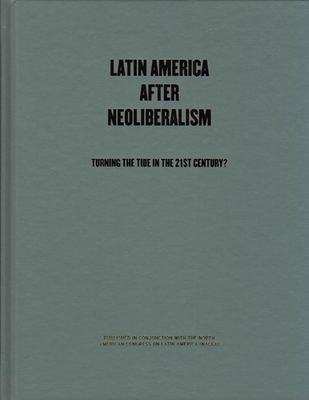 Latin America After Neoliberalism is a fascinating look at what is perhaps the most politically dynamic region in the world--and an authoritative guide to the political movements and leaders that are part of this historic change. Published in conjunction with the North American Congress on Latin America (NACLA) and written by leading progressive analysts of the region, this book takes on the full spectrum of contemporary issues in Latin America, from political transformation to the role of women, indigenous people, and labor coalitions. Latin America After Neoliberalism attempts to make sense of the ongoing upheavals throughout the continent as it moves into the vanguard of an international rejection of neoliberalism for a new and viable progressive alternative. Eric Hershberg is Senior Adviser at the Social Science Research Council and Adjunct Professor at Columbia University. He also chairs the board of NACLA. He lives in Brooklyn. Fred Rosen is a former director of NACLA and current contributing editor of the NACLA Report on the Americas. He lives in Mexico.